The connection between behavior and the human mind has always held a certain fascination to people. Interest in psychology can be traced back to the time of the Ancient Greeks, who explored the field with a philosophical mindset. Psychology became an established scientific discipline during the latter half of the 19th century, as researchers and scientists began to consider the countless possibilities of practical application. The field continued to rise in popularity as countless members of academic communities around the world continued to unearth the limitless potentials of psychology. By the dawn of World War II, the scientific discipline proved incredibly useful as more and more people were becoming aware of the practical usage of psychology. Psychological warfare became an integral part of World War II. Several momentous events during this horrific war were direct efforts at undermining the enemy’s morale and sentiments. One prime example of psychological warfare is the Doolittle Raid. The Doolittle Raid, which was carried out on April 18, 1942, was the first air raid by the United States on Japanese soil. Up until that point, Japan had proved itself impervious to Allied air attack, and the Japanese were exceedingly confident in their ability to win the war. The raid was highly successful. It “caused minor damage, but the psychological effect on… the Japanese was incalculable” (PBS). The Japanese, who believed that they were invulnerable to any attack, suddenly began to doubt their leadership. Japanese morale sharply fell as citizens questioned the authority of their leaders. Another example of applied psychology is the atomic bomb, which is perhaps the most infamous illustration of psychological warfare. The atomic bombs were released on Hiroshima and Nagasaki during the final stages of World War II, and killed over 200,000 people. The exact reason for releasing the two atomic bombs is still currently unknown. However, we believe that a contributing factor in the decision to drop the two bombs on Japan is the usefulness of psychological warfare. In our opinion, the bombs were dropped in part as a means to gesture to our enemies that the Allied forces would ultimately win the war—that any and all efforts were futile attempts to regain power. Indeed, while the application of psychology was still largely unexplored at the time, psychological warfare was effectively and commonly used during World War II by military leaders like Lieutenant James “Jimmy” Doolittle, who headed the Doolittle Raid on Japan, and General Leslie Groves, who played a key role in the development of the atomic bomb. People still have a lot to discover about the human mind, but as time progresses, we will be able to understand more and more about the link between the human mind and behavior. Armed with this knowledge, we will be able to step into the future with more possibilities and applications of psychology. life—psychological effects of the bombings continue to affect the general populace. "Psychological Warfare." The Psychology of Warfare. Stanford University. 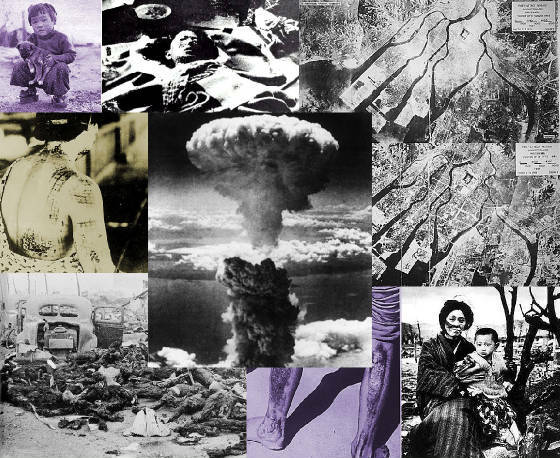 http://www-cs-faculty.stanford.edu/~eroberts/courses/ww2/projects/psychological-warfare/index.html>.